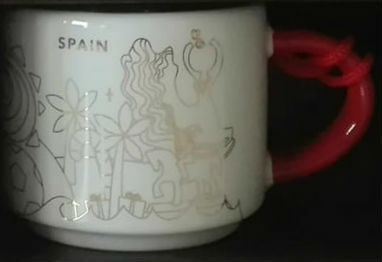 – Flamenco – which is not just the dance but a set of music traditions of Southern Spain. 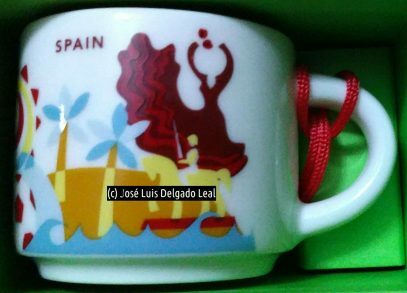 Last year I made a mistake by adding Barcelona Christmas YAH to the site, based on the rumors. I didn’t have any photo of it and surely it has never been released. That is why I only add real photos now! 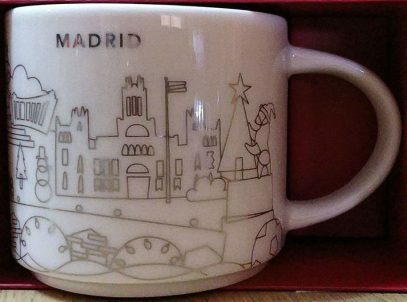 And today I have a reason to do so – please meet Spanish mug – You Are Here Christmas Madrid. 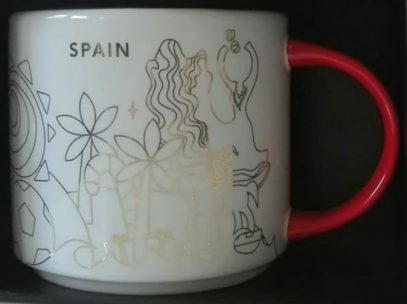 This Icon mug came from Barcelona, Spain. Dark Blue is used as its theme color. 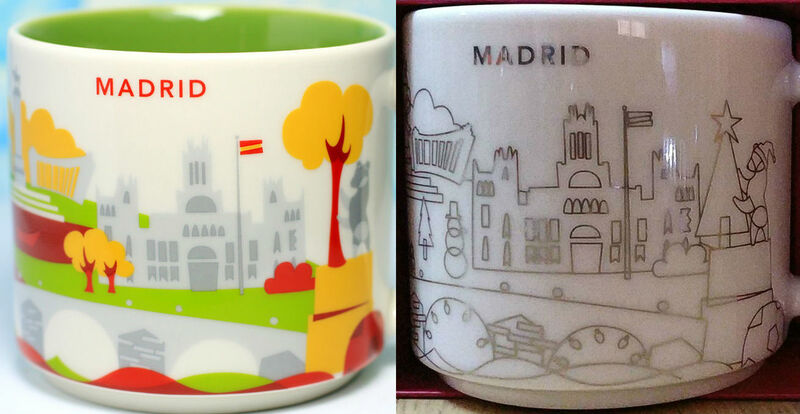 Casa Batlló can be seen on the front of the mug and Barcelona Skyline on the back. 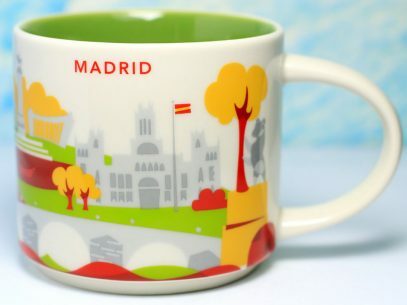 This Icon mug came from Malaga, Spain. Purple is used as its theme color. 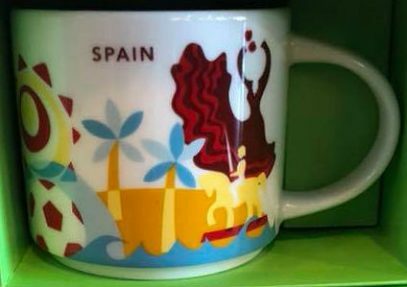 Biznaga can be seen on the front of the mug and Beach on the back.